CleanseSMART combines 23 natural ingredients that provide support for the body’s cleansing processes. The Morning Formula is a 15-herb organ detoxification formula and provides 7 herbs to help detoxify the liver. The Evening Formula contains 8 natural ingredients that help cleanse the colon. 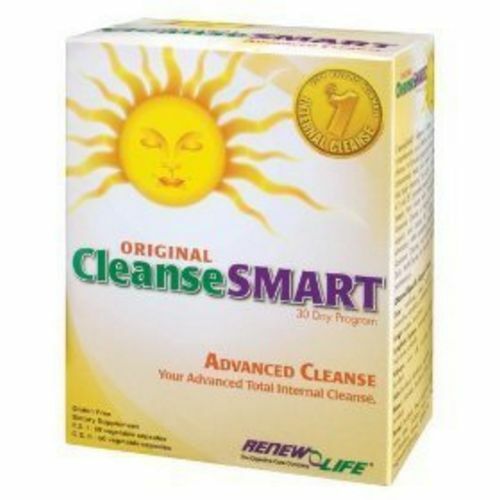 CleanseSMART is easy to take, just 2 capsules in the morning and 2 capsules in the evening. 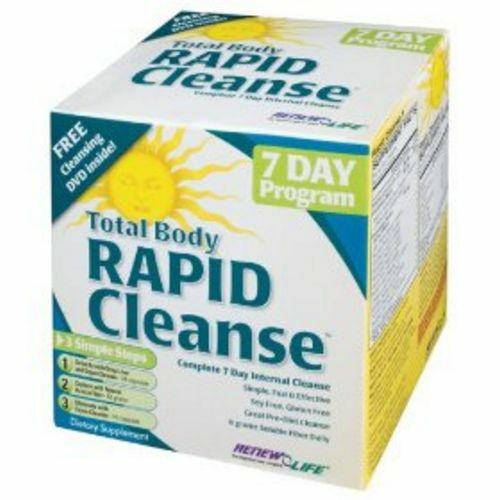 Total Body RAPID Cleanse is a 7-day, deep-acting total-body cleansing and metabolic jump start program. Part 1: Detoxify with Deep Liver and Organ Cleanse‡. Contains potent herbal extracts, amino acids and Vitamin C for powerful antioxidant and deep-cleansing support. The liver is the most important detoxification organ in the body, and Total Body RAPID Cleanse supports this critical organ with 4 amino acids and 6 herbal extracts‡. 7 herbal extracts are included to support the rapid and deep detoxification of the lungs, lymphatic system, kidneys, skin and blood. Part 2: Capture with Natural Acacia Fiber. Total Body RAPID Cleanse provides 8 grams of soluble fiber daily. For this 7-day, deep-cleansing experience, we have included 100% soluble acacia fiber. Acacia fiber dissolves completely when mixed with water and has no taste or gritty texture. Fiber is a critical component of colon cleansing, as well as organ detoxification and purification. Part 3: Eliminate with Colon Cleanse. Total Body RAPID Cleanse is formulated with magnesium hydroxide (a mineral that helps to hydrate the bowel) as well as cape aloe and rhubarb to promote bowel contractions. Triphala, marshmallow and slippery elm are soothing herbs included to comfort the bowel during this critical cleansing step. 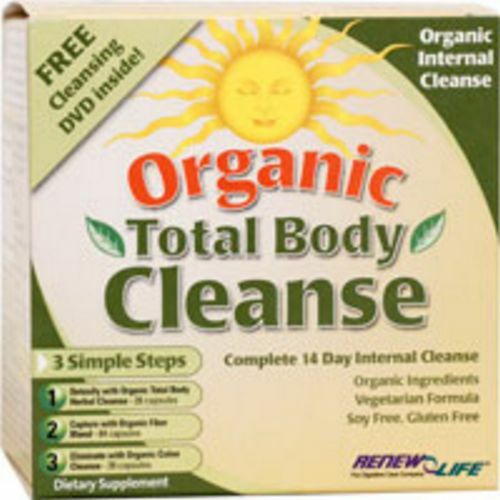 Organic Total Body Cleanse is a 14-day, 3-part organic internal cleansing program. Organic Total Body Cleanse blends only organic herbs and fiber to offer you a wholesome and effective cleanse with no extra ingredients to add stress to your body. Part 1: Detox with Organic Total Body Herbal Cleanse. Organic Total Body Cleanse 1 uses organic whole herbs used traditionally to support the liver, lungs, lymphatic system, kidneys, skin and blood. These cleansing herbs support the natural detoxification process of the body. Organic Total Body Cleanse 2 is a blend of organic oat bran, flaxseed and acacia fiber. Fiber is a critical component of colon cleansing, as well as organ detoxification and purification. 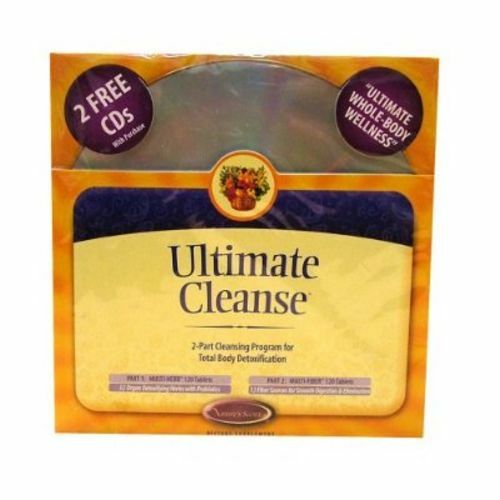 Ultimate Cleanse offers a unique, 2-step program that gently works through the digestive tract with the body’s own internal systems to cleanse and detoxify. The two formulas in Ultimate Cleanse are Cleansing Blend with Herbs and Cleansing Blend with Fibers. Each product contains proprietary blends of nutrients, designed to be taken together for best results. PART 1: Cleansing Blend with Herbs This formulation contains a proprietary blend of herbs traditionally used to support digestive function. PART 2: Cleansing Blend with Fibers Nature’s Secret Cleansing Blend with Fibers includes a variety of fiber sources and complementary herbs to support colon detoxification and help promote 2-3 bowel movements per day. It is designed to promote healthy digestion and elimination.